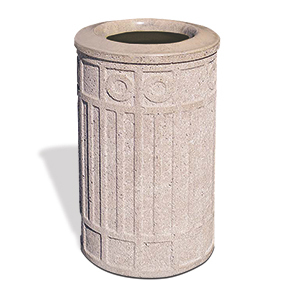 Maintain outdoor facility cleanliness with a simple, functional and aesthetically pleasing outdoor ash urn. The decorative concrete ashtray provides adequate space to responsibly and safely dispose of their smoking material. The low maintenance reinforced concrete construction is highly resilient capable of withstanding extreme conditions for many years.